It's Thursday, March 21 today. We had originally planned to leave yesterday, but progress has been slowed by various events and we're still here. Soon, though! These are photos of life aboard. 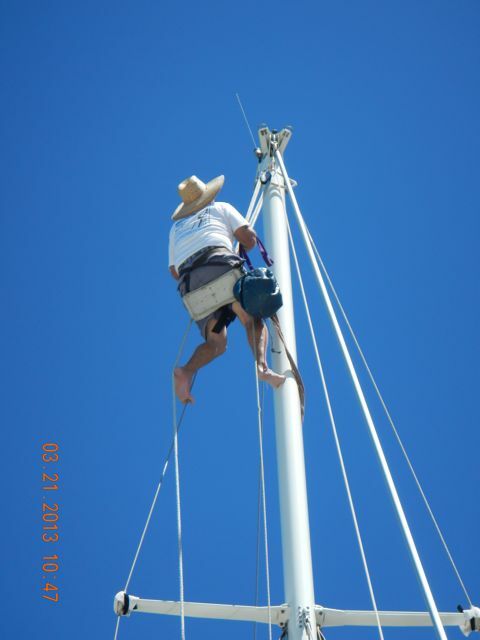 Jeffrey Walker, the rigger from Dawn Rigging, at the masthead to help lead through our new wind instrument cable. 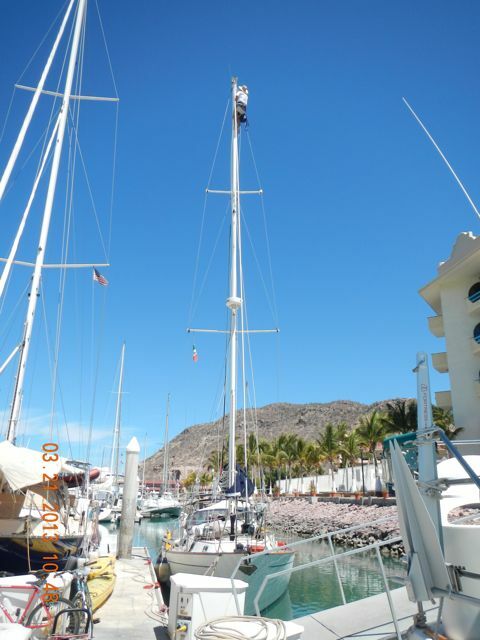 The old one was damaged by our main halyard in ways that we don't understand, but we've replaced it now. This is a good perspective of Jeff's position. 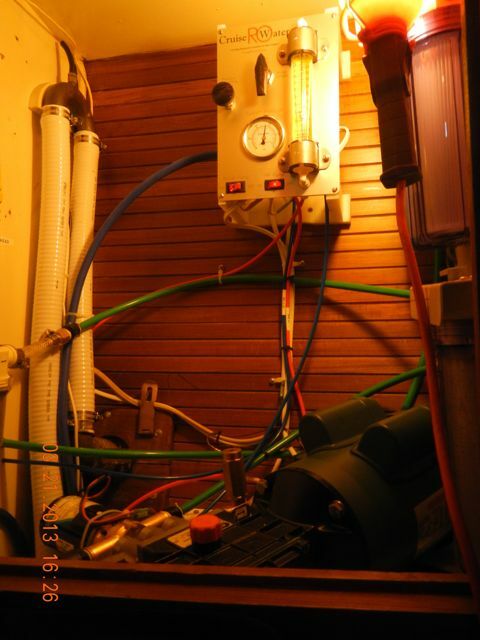 Our wonderful water maker (desalinator) cranking away, making our 24 gallons per hour. The rotometer on top measures freshwater flow through the system. Our new throughhull at work. 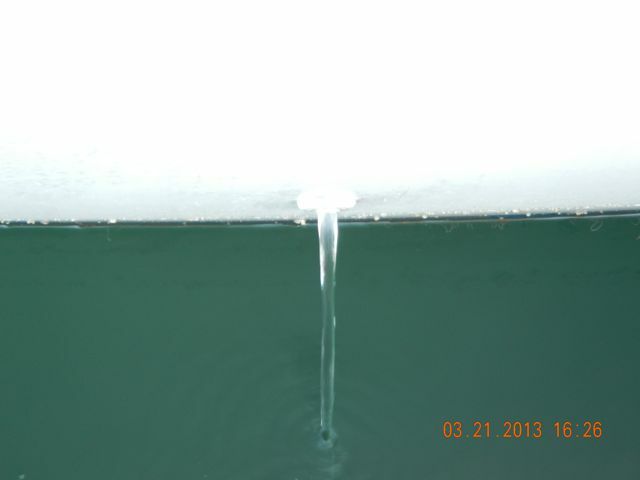 This is the brine output, the part of the saltwater intake that contains all of the brine from the water that has been desalinated. Wings today. 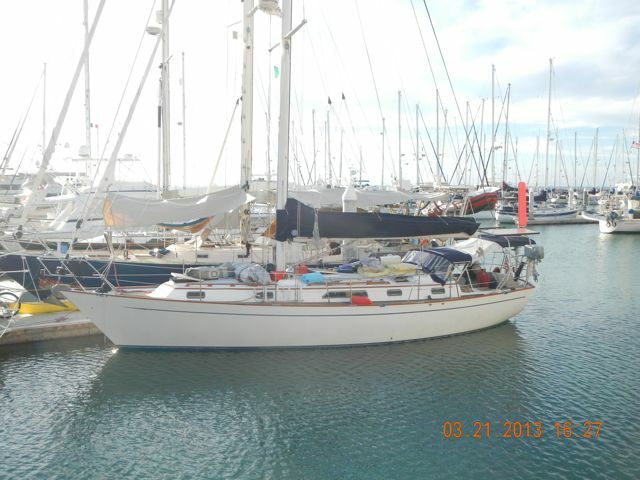 The big red feather on her stern is our Hydrovane. Her main is on, but we're waiting for Jeff to supervise the installation of our jib. There's still a lot of stuff on topside, but less than before. We're getting there. The stuff on deck. The large white cylinder is the radar reflector that will be mounted on the mast. 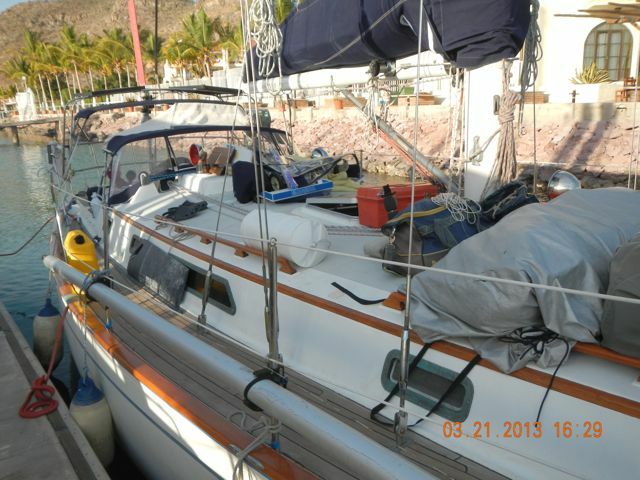 The large object in silver cloth is the dinghy in her sun protection. 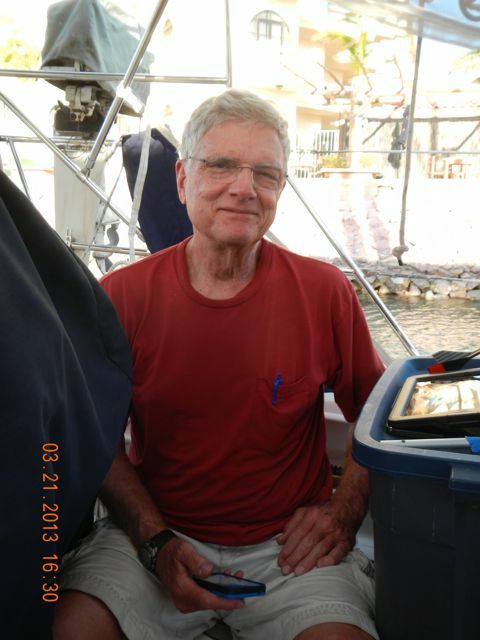 Our third crew mate, Chip Derrick. He always smiles. 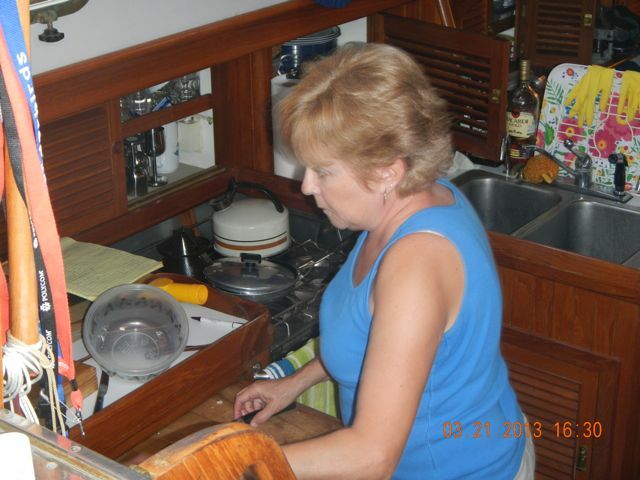 Conni, working in the galley.